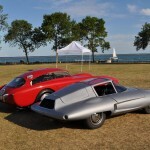 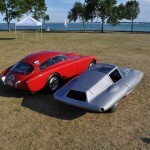 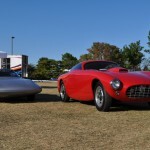 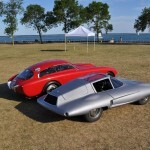 As promised earlier, I’ll show “more” and talk “less” about each of the cars that appeared at the Milwaukee Masterpiece Concours d’ Elegance on August 28th, 2011. 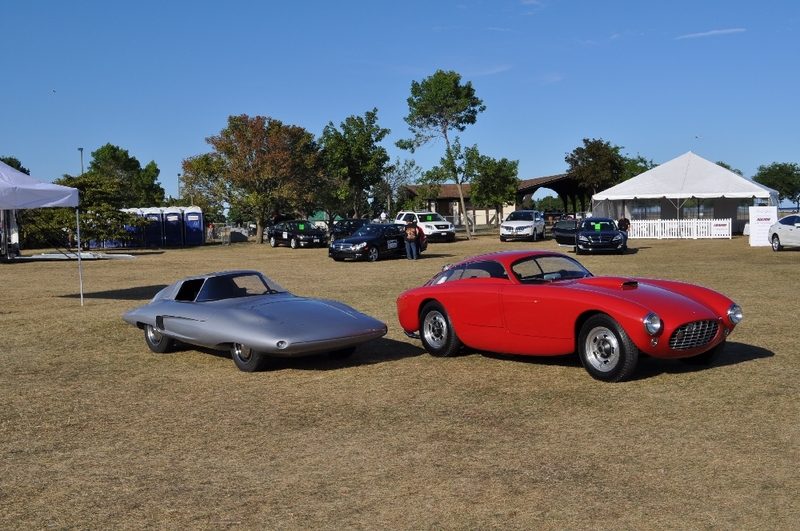 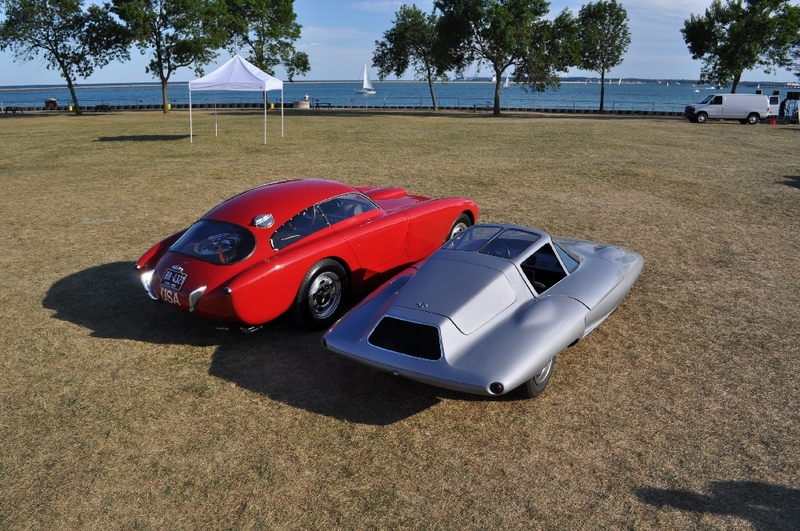 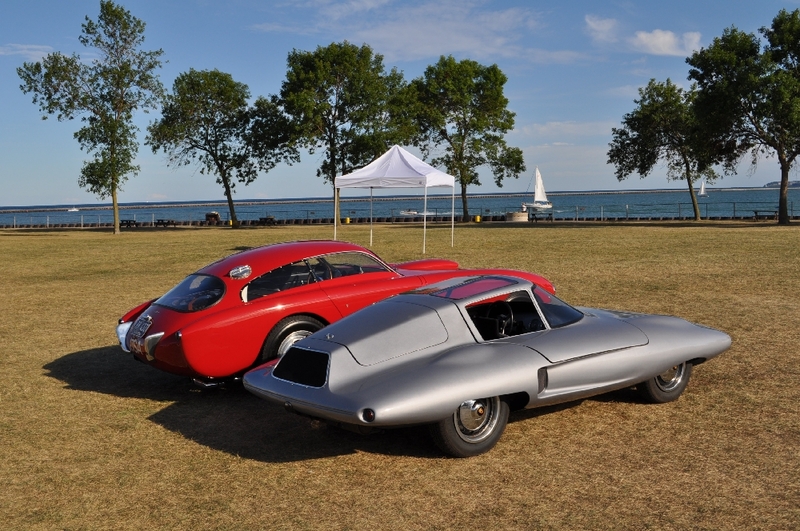 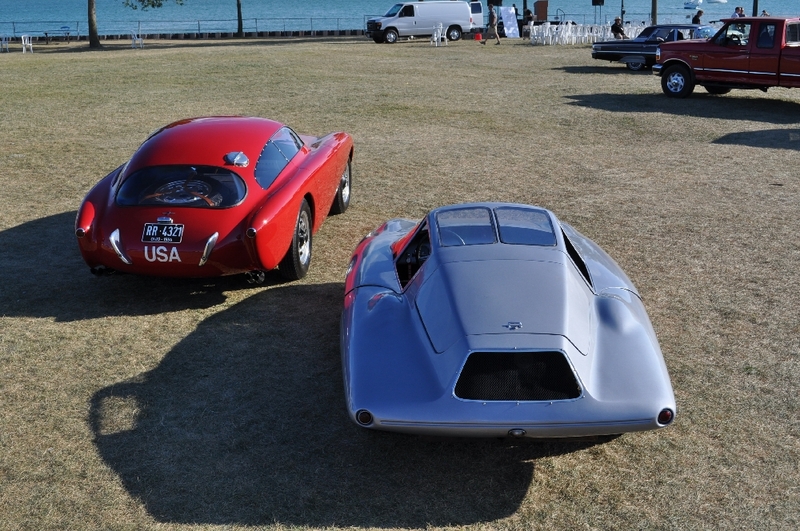 Click here to read more about the success of vintage ‘glass at the Milwaukee Masterpiece. 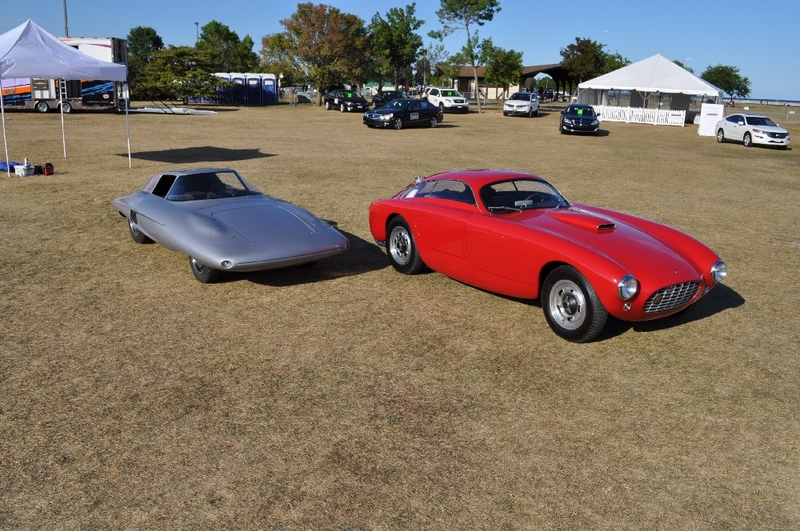 Late Sunday, at the end of the Milwaukee Masterpiece Concours d’ Elegance, Tom Kenney of the Petersen Automotive Museum, allowed our group to take some stunning pictures pairing the Bosley GT Mark 1 with other cars. 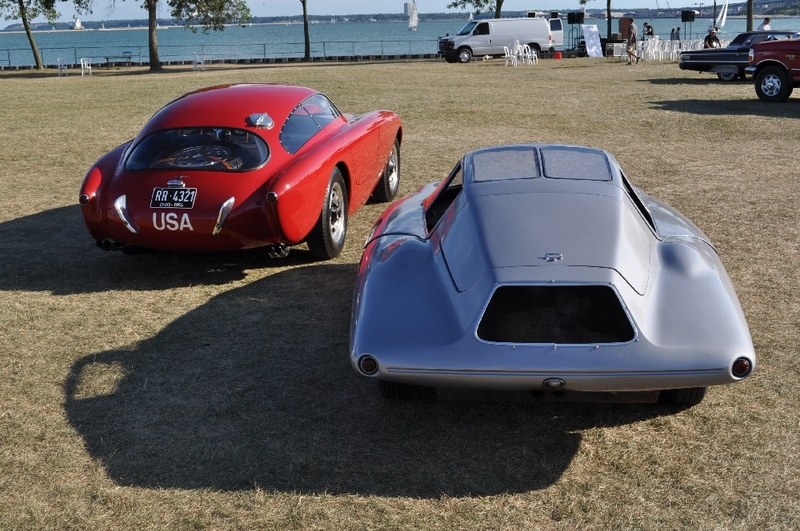 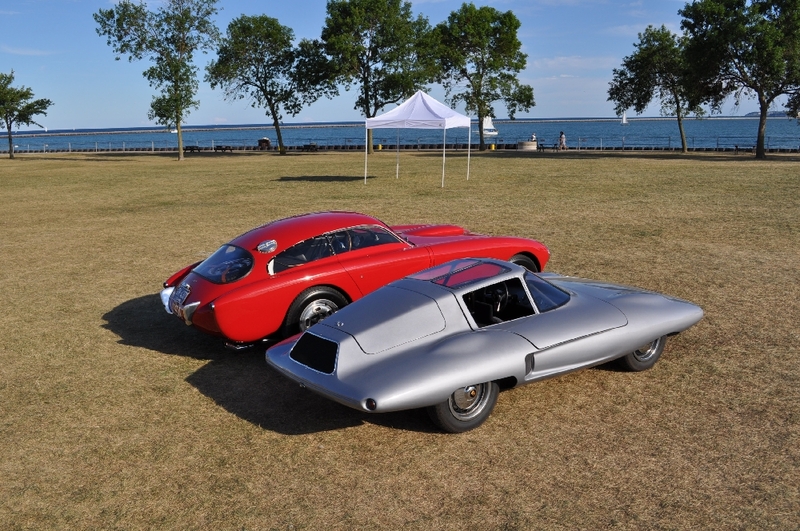 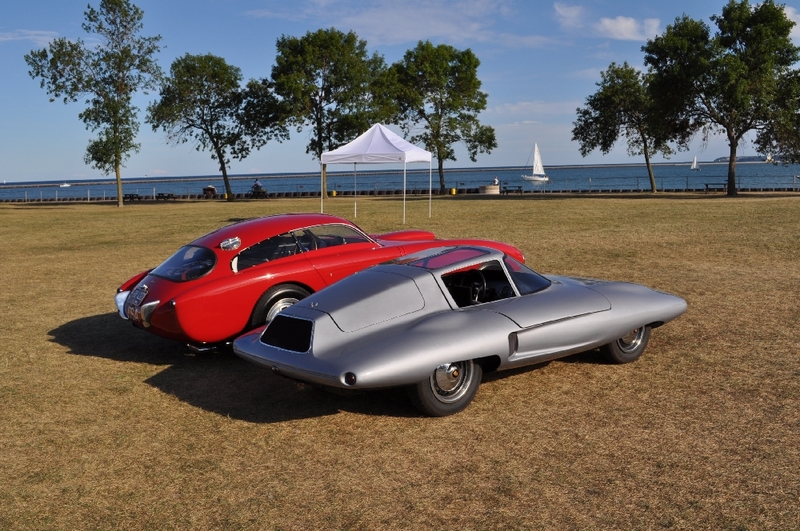 Today’s pairing shows the “Covington Tiburon” with the “Bosley GT Mark I.” This is an important pair of cars to show given their drastically different approach to styling and speed. 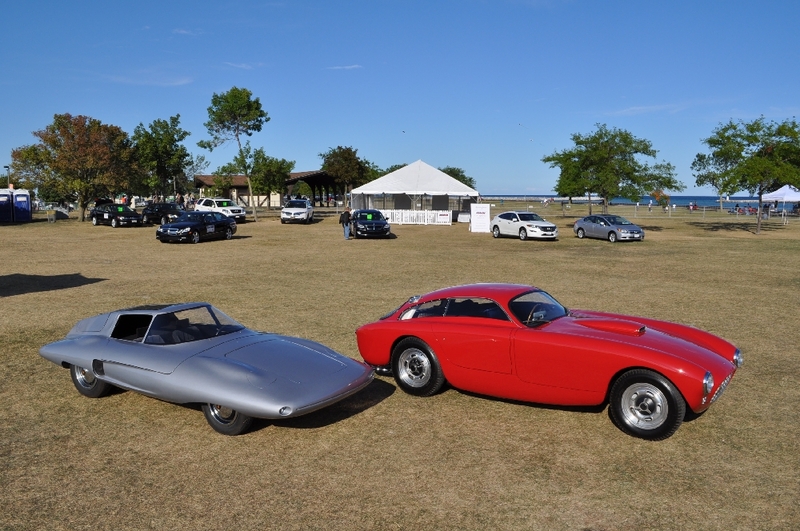 The juxtaposition of these cars makes for some great visuals – thanks to the talents of my good photographic friend, Rick D’Louhy. 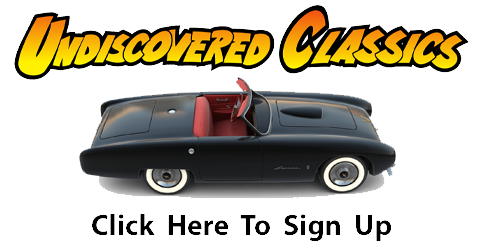 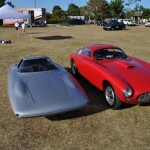 * Click here to visit of Forgotten Fiberglass Forums and post your thoughts about vintage fiberglass cars. 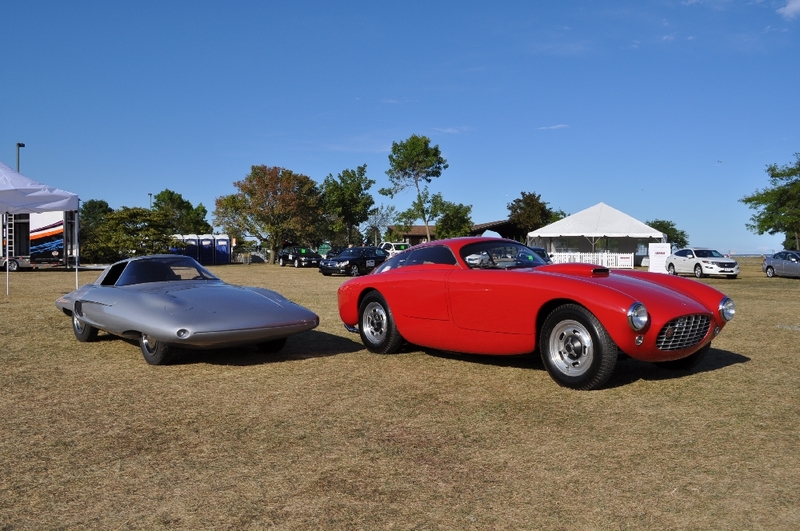 It is amazing to see these two brilliantly designed cars together, both obviously sports cars and philosophically from opposite ends of the design spectrum. 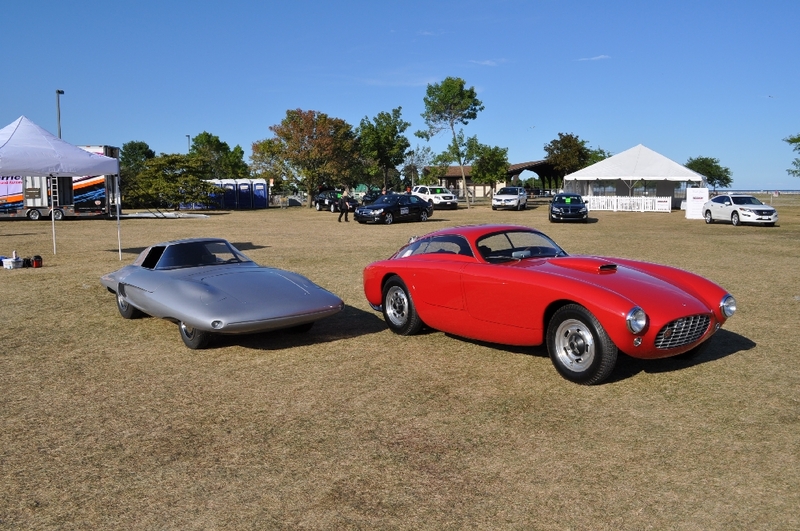 Proving that different is not always a bad thing. 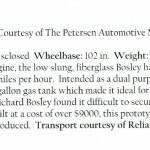 In this case it is quite magical. 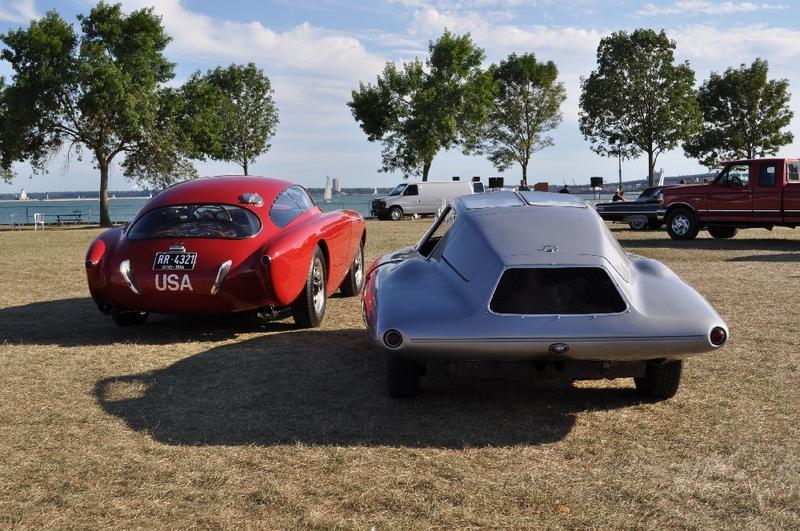 Must have been fun watching peoples reactions. 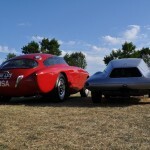 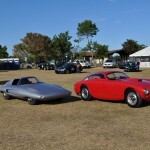 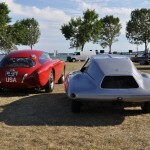 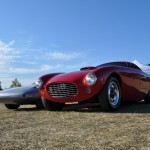 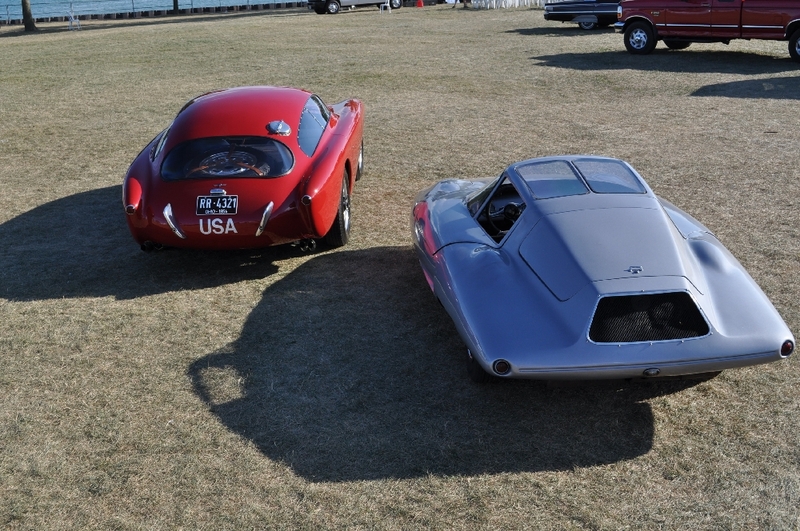 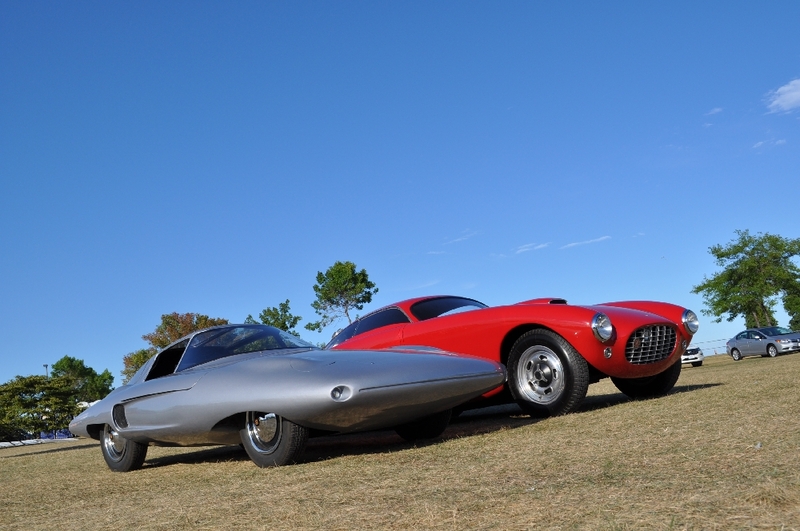 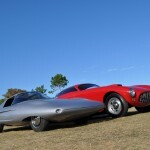 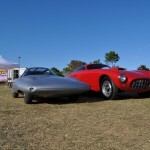 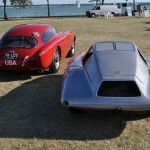 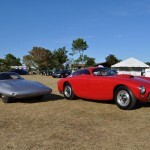 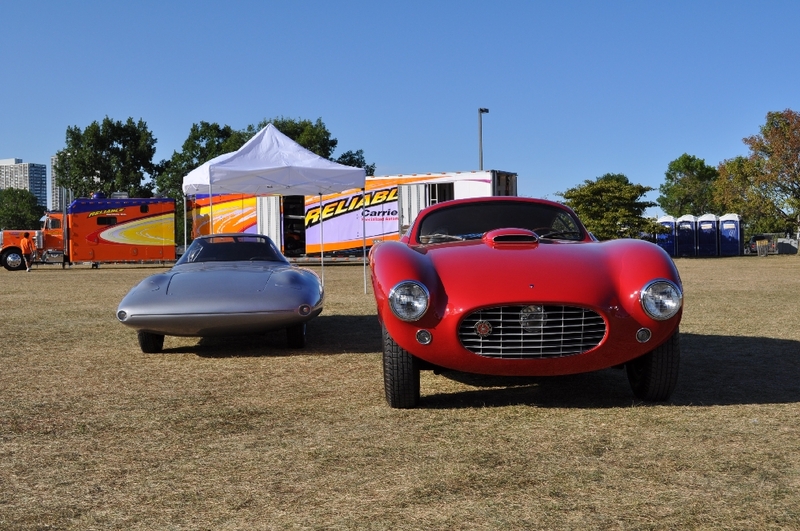 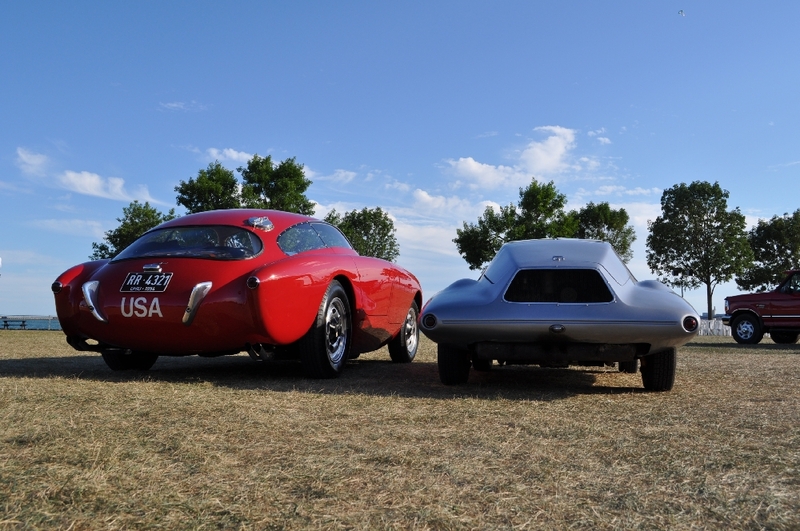 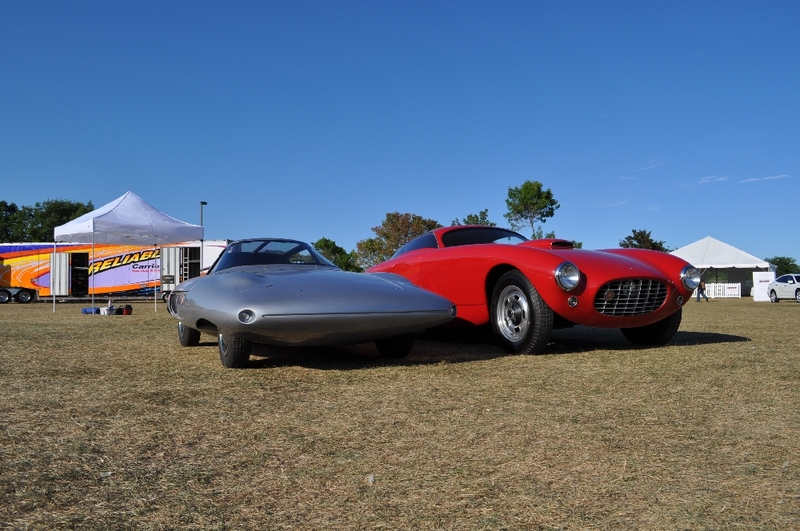 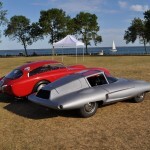 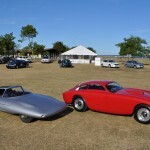 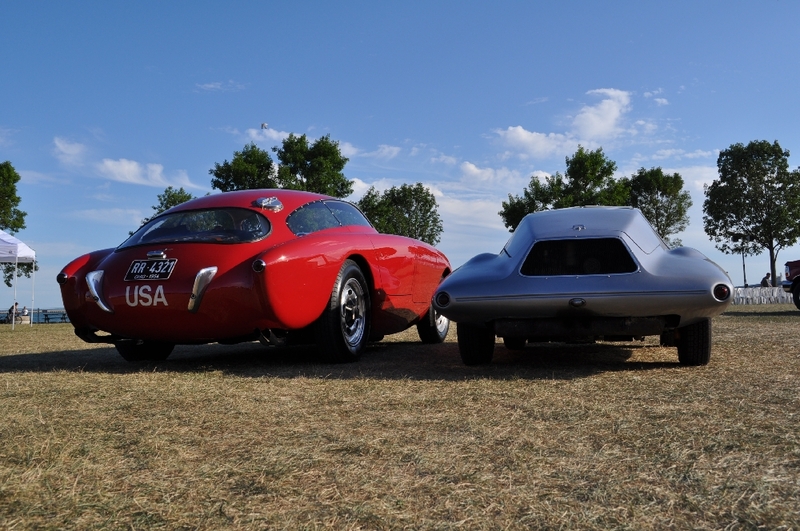 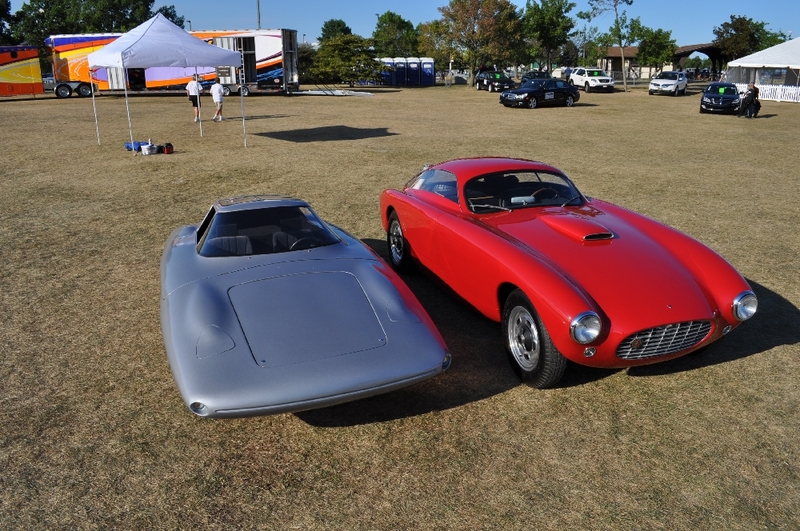 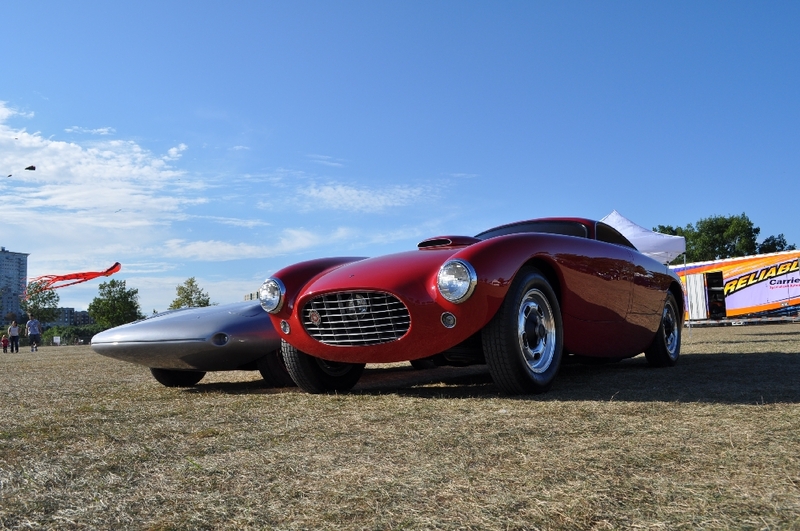 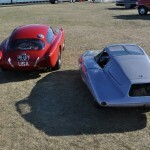 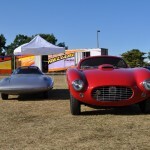 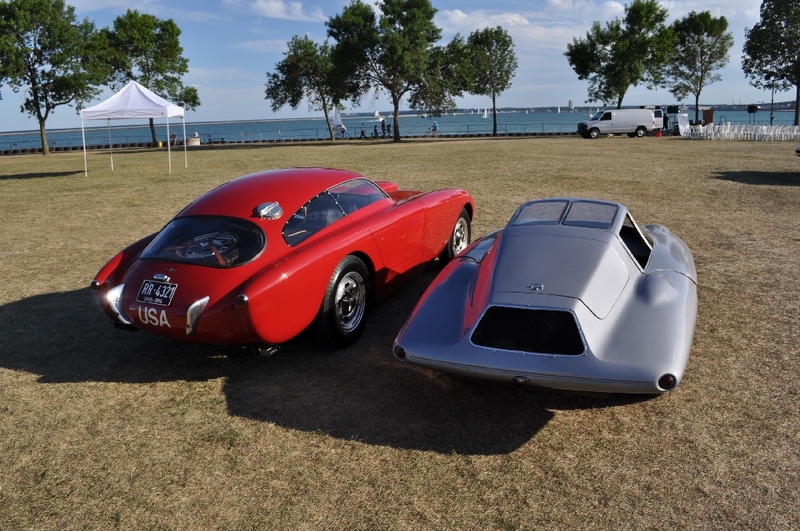 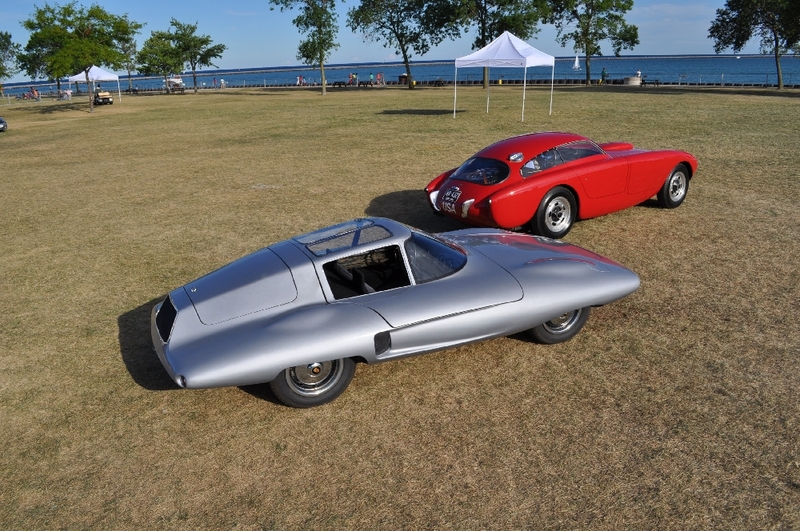 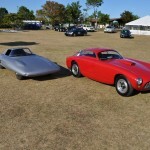 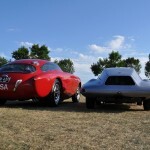 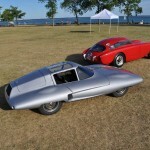 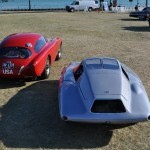 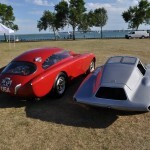 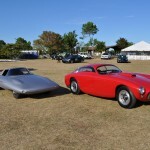 The Bosley is a really remarkable design for a one-off amateur designed homebuilt sports car. 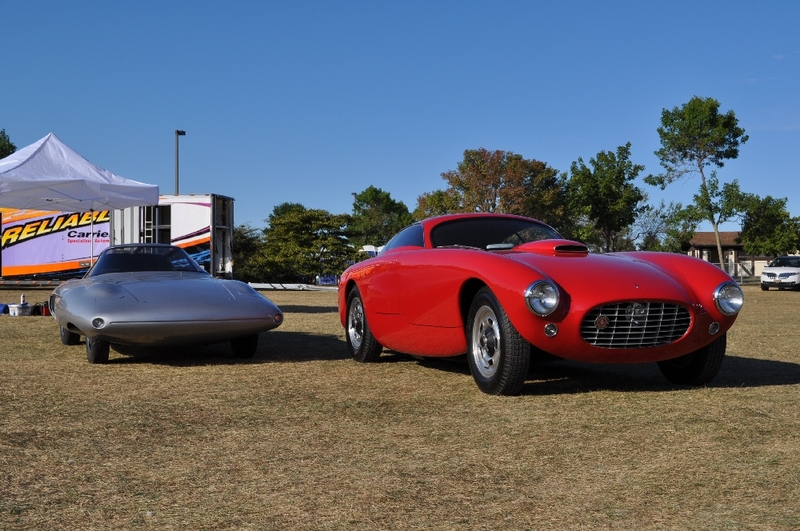 I liked it when it first appeared in the magazines, and I like it even more today. 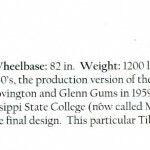 This guy hit a homerun with his design, where many fouled-out trying. 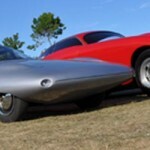 We had a good discussion about this car on the HAMB, and all agreed that is one stunning design for all times.